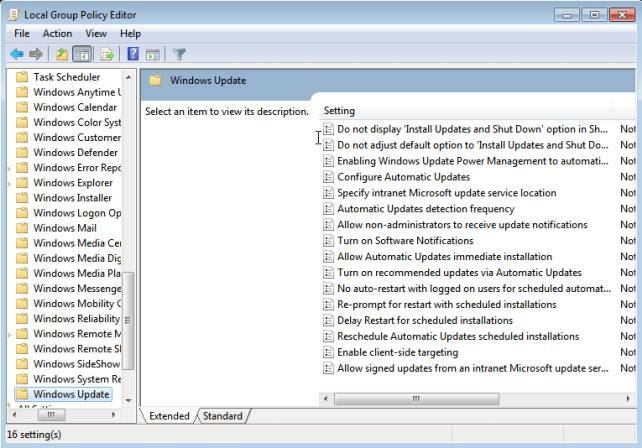 To disable Windows from installing updates when you were about to shut down your computer and have some tea there are two options available in your Local Group Policy Editor. Access it by entering gpedit.msc into a Run... prompt. On the left side you will have a large directory listing where you have to browse Computer Configuration\Administrative Templates\Windows Components\Windows Update. The two top options are the ones you have to enable by double-clicking, enabling and applying. Windows will then no longer pester you with updates on shutdown. Thanks a lot! its working! i find my solution on my computers problem..